As part of the 10 year anniversary of the Freeway Complex Fire, Hills For Everyone created and/or updated posters for the event. View each poster in our fire section. 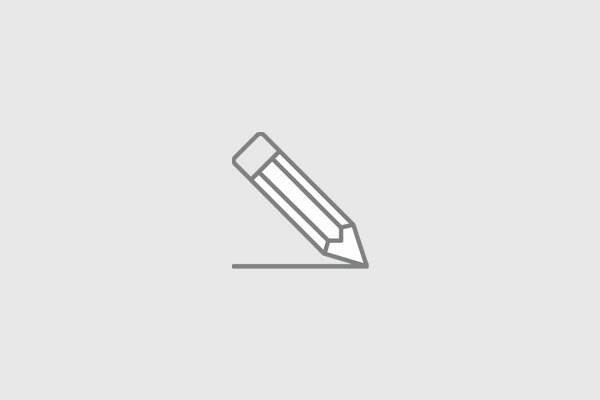 This poster focuses on massive impacts to the residents and homes in the City of Yorba Linda. Most of the houses destroyed in the Freeway Complex Fire were in Yorba Linda. 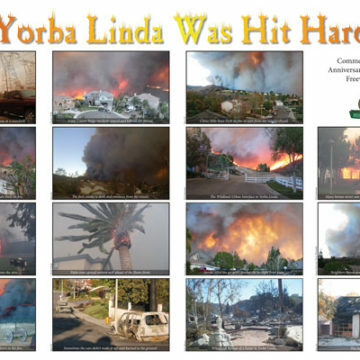 Download the “Yorba Linda Was Hit Hard” poster. 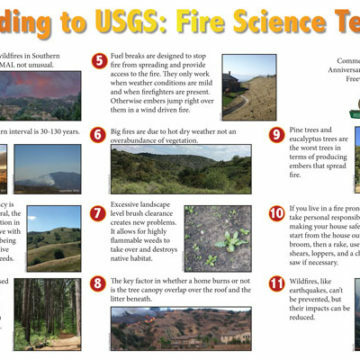 This poster focuses on the research of the United States Geological Survey and outlines 11 facts about the latest fire science. Download the “According to USGS: Fire Science Tells Us” poster. 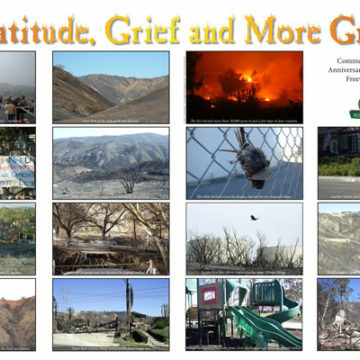 This poster focuses on the recovery efforts post Freeway Complex Fire. 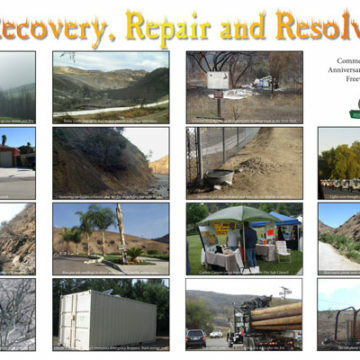 Download the “Recovery, Repair and Resolve” poster. This poster focuses on the aftermath of the Freeway Complex Fire. Download the “Grief, Gratitude and More Grief” poster. 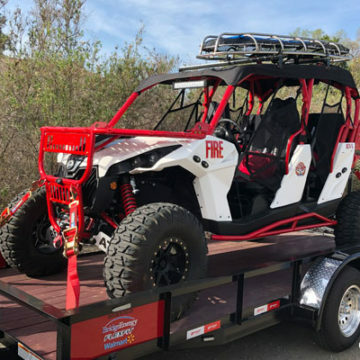 This poster focuses on the efforts across county lines by the Carbon Canyon Fire Safe Council to improve conditions and protect homes when the next fire hits. 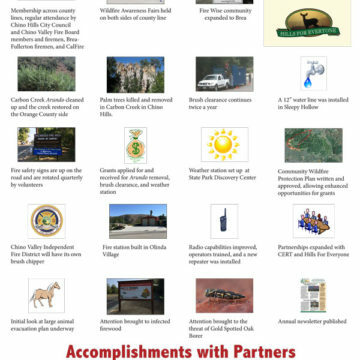 Download the “Carbon Canyon Fire Safe Council” poster. This poster focuses on the fears and frustrations of residents and the efforts to battle the blaze by firefighting from the Freeway Complex Fire. 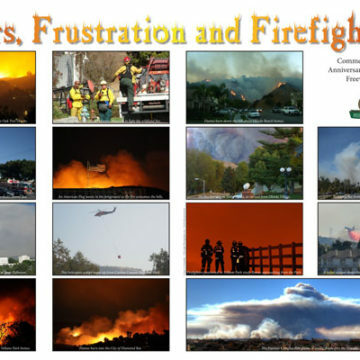 Download the “Fears, Frustration, and Firefighting” poster. This poster focuses on the impacts to the wildlife that live in the hills from the Freeway Complex Fire. 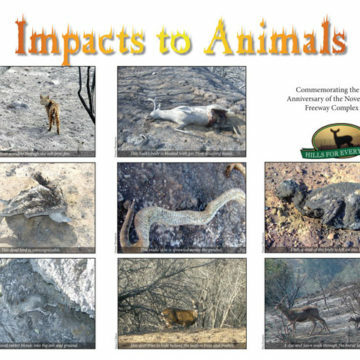 Download the “Impacts to Animals” poster.